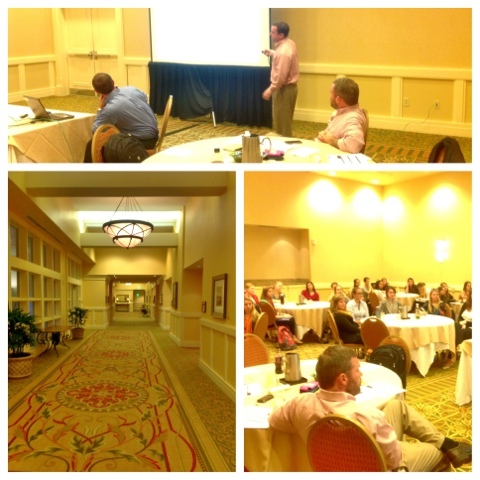 My class was held on Monday night a Wild Dunes Resort. 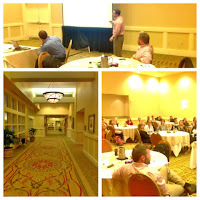 Three of the sales team took the students through two case studies of how they choose and evaluate conference business. It was a super evening indeed. I am a fan of sleep. On a more serious note, with my schedule lately, I am even more of a fan of my wife. She is getting extra kid duty while I am work these atrocious hours. No, no and don't care. No one died because of his actions. Some other cheater people made less money than he did cheating. He is not a nice guy...that is hardly news. He has not been a nice guy for his entire career if you have even been remotely paying attention. He, in a lot of ways, is the embodiment of corporate America. I guess that is the saddest part of this commentary - that he is not unique but rather one more cog in the machine. What are you thinking? If you need to ask, you probably do not want to know. I wish I could be competitive with my sister - it would mean she was alive. We had five years between us and were totally different personalities. We were always in different life stages - only starting to share some commonalities when she passed on. So there was no reason really to be competitive. I do like baseball and it was a long time ago when I last played.